Sorrento, Italy – Rock grottos, mineral baths, pools and genuine Roman sauna rooms are only a few of the intriguing spa complex built on the site of an ancient Roman prototype. Enjoy a warm Roman bath in this relaxing atmosphere. Rome (Civitavecchia), Italy – The thousand-year-old history on Thermal Baths of Popes could be your reality as you soak in the restorative mineral-rich, thermal springs in Rome. Palamos, Spain – During this atypical Laughter Therapy session, giggle and laugh for a full-scale workout as you take in the many health benefits of releasing stress-busting endorphins. Palma De Mallorca, Spain – Walk up a hill to the 14th century Bellver Castle on Nordic Morning Walk for a lower-impact, body-toning Nordic exercise. 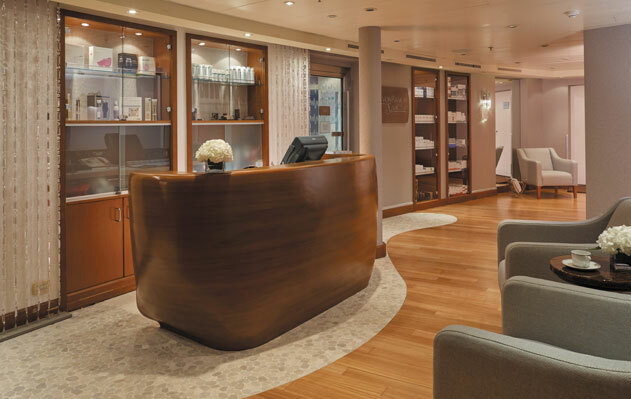 Monte Carlo, Monaco – Enjoy the spectacular Mediterranean panorama on Vinyasa in a fast-paced, dance-like style of yoga that synchronizes breathing. This will calm your mind, increase focus, strength, and stamina. Corfu, Greece – One of Greece’s most beautiful estates on ‘The Generosity of Spirit’ will be your sanctuary for a deep yoga and meditation session. Taormina, Sicily – Practice poses from a high perch overlooking the charming seaside town on Taormina Terrace Yoga with dramatic views of contrasting coastlines, cliffs, and Mount Etna. Amalfi/Positano, Italy – During your highlight tour, marvel at the island’s natural gifts, calming presence and deep-rooted spirit. Be sure to visit Carthusia, the famous and exclusive perfume laboratory. Venice, Italy – Stop by Venetian Scents at Palazzo Mocenigo to learn how to create your own ‘take-home’ perfume in a 16th century perfumer’s laboratory. Palma De Mallorca, Spain – Center your chi from either the Illuetta Bay or Can Antoni Pere Beach and enjoy the breeze from the sea and breathtaking scenery. Provence (Marseille), France – De-stress and unwind in a 19th century palace on Tai Chi in the Imperial Garden as you engage in ancient Chinese martial arts. 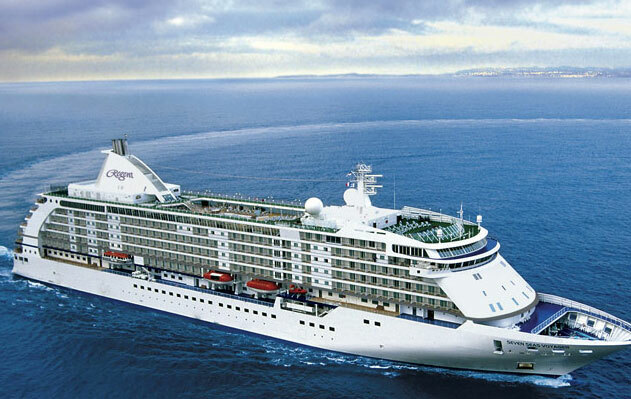 Join Seven Seas Voyager on a 7- to 10-night Mediterranean cruise between May 22 through September 28, 2017 and select 2018 voyages for an extraordinary wellness experience and spa service pairing. 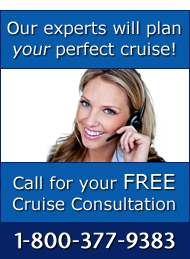 Contact us today on 1-800-377-9383 for expert cruise consultation and booking incentives.